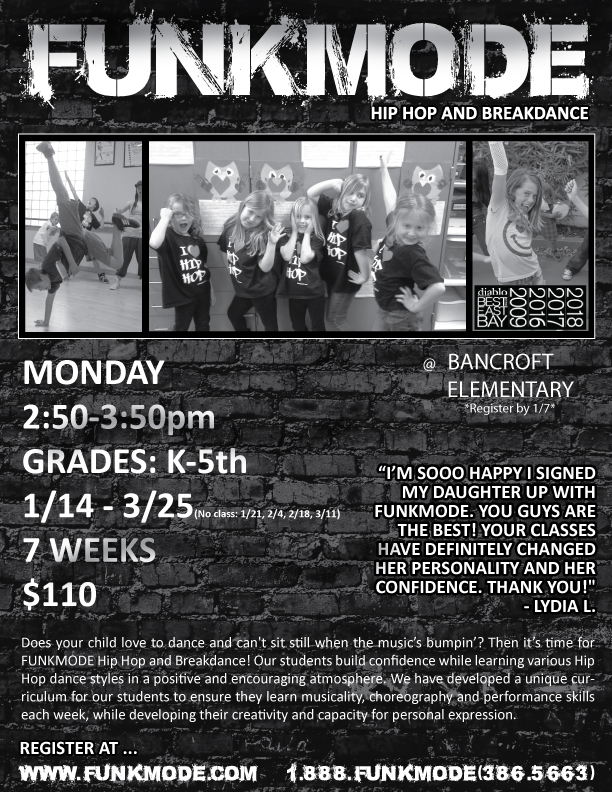 Classes provided by external vendors intended for 1st - 5th grade. ​Please click the link for the registration form and details. ​For additional questions, please contact Russell at BancroftASE@gmail.com​.